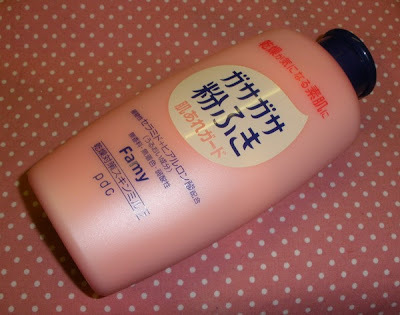 I had this PDC Famy Moisturizing Body Lotion stashed away for the past 7 months and didn´t get round to using it until some days ago when I arrived to Egypt. I mainly grabbed this rather nondescript looking lotion to bring with me because it was the only Japanese body lotion I own that´s above 200ml and I wanted to bring along as few bottles as possible but with the highest content. Anyway, I should have used this stuff earlier as it´s downright awesome stuff! I expected this to be one of those rather runny and liquid lotions but it´s a rich moisturizer which is perfect for normal-dry and dry skin. My body skin is quite uncomplicated so I can use both lightweight and richer lotions but usually feel the richer ones feel nicer. 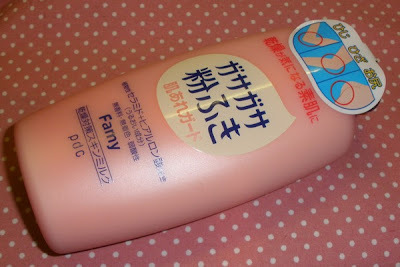 This is not sticky and doesn´t leave a greasy film on my skin but just makes it buttery soft and smooth for many hours. This is not scented so it will not clash with any perfume and right now I love using the lotion first and then some of my currently favorite body powder from Mistine which smells soooooooooooo good (to be reviewed later today or so). I paid about US$8 or so on Sasa for the 250ml bottle which is not really cheap for body lotion but it´s so worth it and shipping was included for me anyway so for me it´s still value for money.